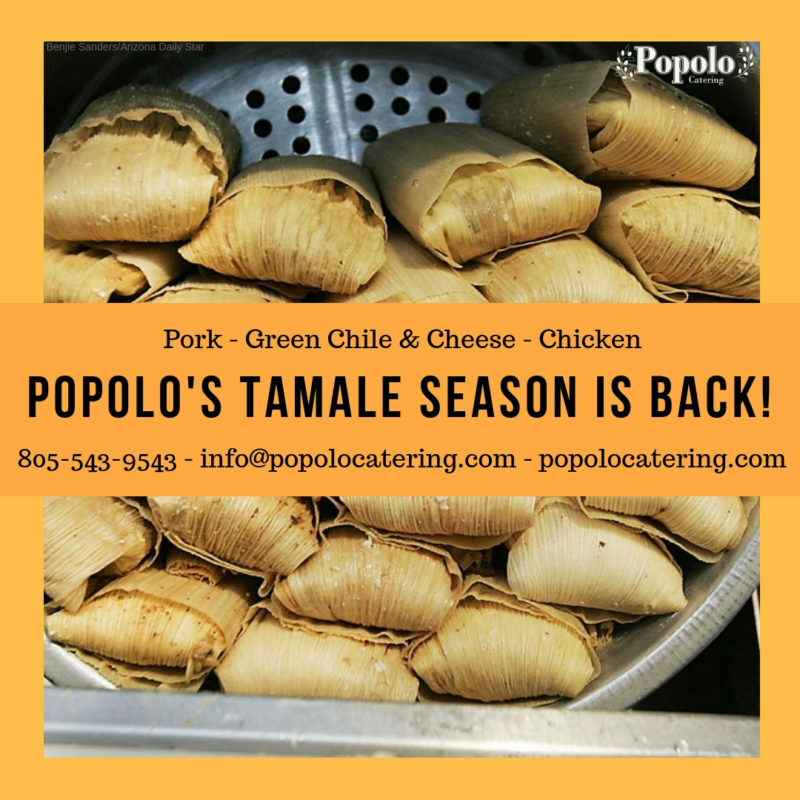 Popolo Catering is now accepting tamale pickup orders! We have pork, green chile & cheese, and chicken tamales available. Please place your orders by December 18th. The last day to pick up orders is December 24th by 12 pm. Please either call us at 805-543-9543 or email us at info@popolocatering to place an order.